One note before we dive into the details: As I have noted in my general Kona results post, this year’s swim was about three minutes quicker than in the past. After the race it became known that the buoy anchors marking the course had drifted over the years (making the course too long in the past) and were reset for this year (making the swim course pretty accurate). This makes it even trickier to compare times from year to year, and I will focus on the differences between athletes – with the notable exception of Daniela’s new overall course record. 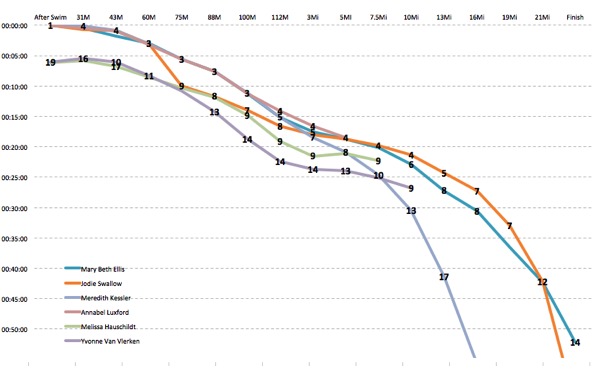 Let’s have a closer look at the top finishers and how their races developed. Daniela Ryf delivered another dominating performance, defending her 2015 title in an extremely convincing way. Even after the swim Daniela was never more than a few seconds out of the lead, and once she went to the front of the leading bike group, she quickly took control of the race and no one was able to follow her for too long. 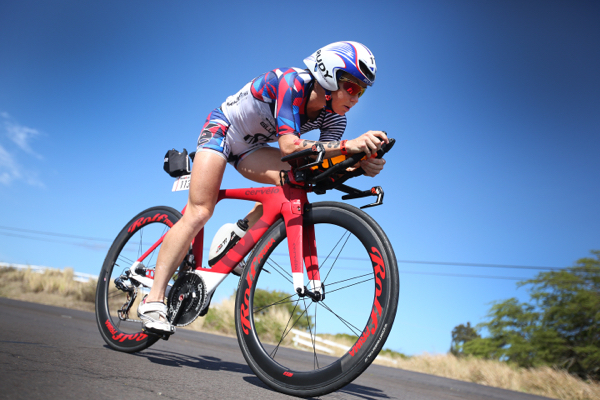 She posted the fastest bike split by eight minutes (also the only sub-5 bike split this year) and then also the fastest run split of the day – her first sub-3 marathon in Kona. Her 8:46:46 is a new course record and a dominating win by more than 20 minutes. 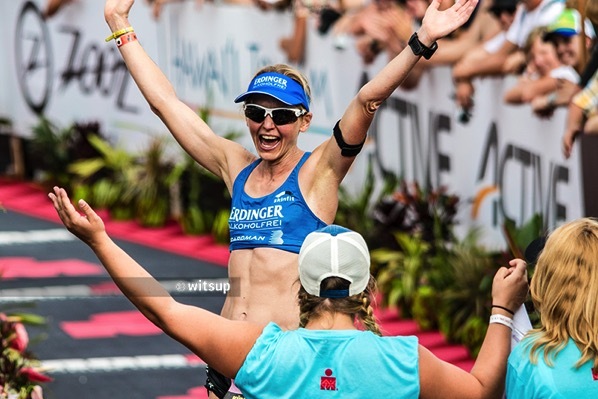 It’s hard to believe that she entered the race with doubts about her bike strength – and probably even harder to see anyone being able to challenge her in Kona for the next years if she shows up in top shape. 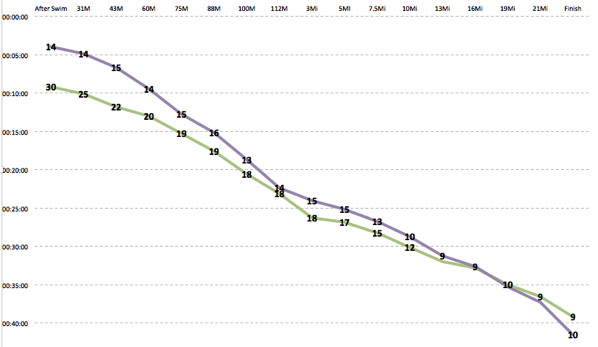 The race for the top spot was pretty one-sided, but the rest of the female race was hotly contested. Even though Mirinda Carfrae was “only” 13th off the bike, she ran through the field with another sub-3 marathon and finished in second place. The headlines after the race would have been much different if Daniela hadn’t been in the race: With one of the ten fastest all-time Kona runs Rinny made up more than 14 minutes to Anja Beranek who was second off the bike, and more than six minutes to Heather Jackson. But with Daniela in the race, Rinny was the “best of the rest” (her own words in the post-race press conference), and in her personal assessment the negatives are probably more pronounced. Rinny lost almost four minutes in the swim to Daniela (2014: 3:19), but then was “only” 9:35 behind at the turn in Hawi (60M) – at that point in 2014 she was almost 12 minutes behind Daniela. This means that Rinny lost six minutes in the first half of the bike – but on the second half Daniela put another 12 minutes into her, seven of those in the last 24 miles. When Rinny started the run, second place was probably the best she could race for. 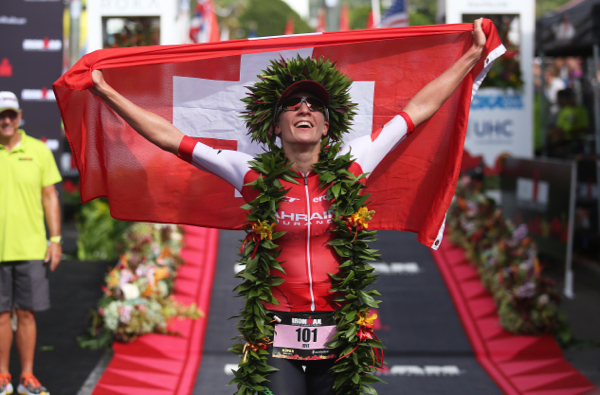 While this may be a disappointment for Rinny (she made it clear before the race that she was in Kona to win the race), she was on the Kona podium in every race she finished. I’m sure she’s already plotting how she can challenge Daniela the next time she races Kona – or at least how she can improve on her best Kona performance so far. Heather Jackson was often mentioned before the race as a serious podium contender, and she was able to fulfill the expectations placed in her, becoming the first American woman since ten years to finish in the Top 3. Heather was able to improve across the board on her 2015 race. After the swim she was just over six minutes back from the front, compared to almost ten a year ago. She started the bike strong and quickly closed the gap to the group around Rinny, riding away at the climb up to Hawi. After that she was with the second chase pack that also included Jodie Swallow and Mel Hauschildt. In the last part of the bike course she gapped them as well, and by T2 she had also passed the first chase group with Meredith Kessler, Annabel Luxford, and Mary Beth Ellis. In 2015 Heather started the run in 14th place after a 5:04 bike leg, this year she was already in third after riding the second fastest bike split (at 5:00:31 more than four minutes faster than 2015). A solid run (improving on her first Kona race by 5 seconds) allowed her to claim third place at the finish line. During the run Heather overtook Anja Beranek and for a short time moved into second place, but she quickly lost one spot when Rinny passed her. 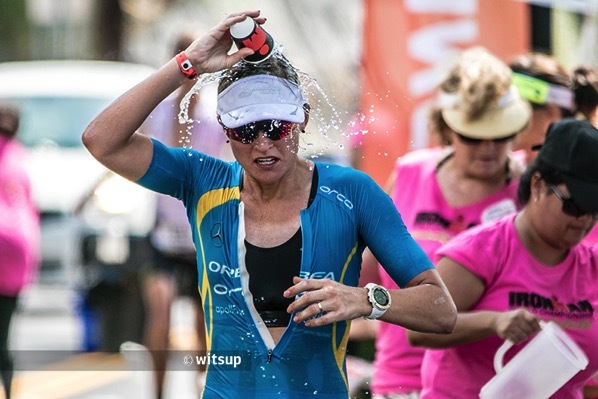 Still Heather took another step forward in her Ironman racing and seemed over the moon with her podium finish. Anja is a good swimmer and biker, and it could be expected that she’d be able to stay with the front group on the swim and in the early parts of the bike. But when Daniela started to apply the screws on the bike and everyone else was falling away, it was a surprise that Anja was the only one who followed Daniela. Even if Daniela did almost all the work, they both pulled away, building a lead of three minutes in Hawi. In the second half of the bike Anja had to let Dani go, but still continued to pull away from the rest of the field, starting the run six minutes in front of third place Heather Jackson. For a good finish Anja still needed a solid run, and there were some concerns that she might have biked too hard (even though she biked almost exactly the time I predicted for her). But Anja showed an excellent run: Maybe slightly faster than expected but still very much within herself. The last German female podium was almost as long ago as the last one from the US women (3rd place by Sonja Wallenhorst in 2008) and Anja was able to hold on to second place until the Energy Lab, but towards the end she was overtaken by Heather and Rinny. Still she continued to run strong, produced the best performance of her career (at least so far!) and finished in fourth place. Kaisa came to Kona with two good Ironman races: An 8:48 debut with a second place in Barcelona and a win at the African Regional Champs. 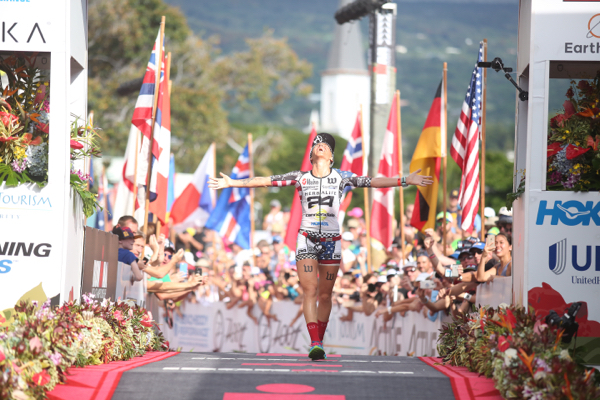 She executed another smart race in Kona: After a slow swim she didn’t panic but worked for the first two hours on the bike to ride up to Mirinda Carfrae’s group. 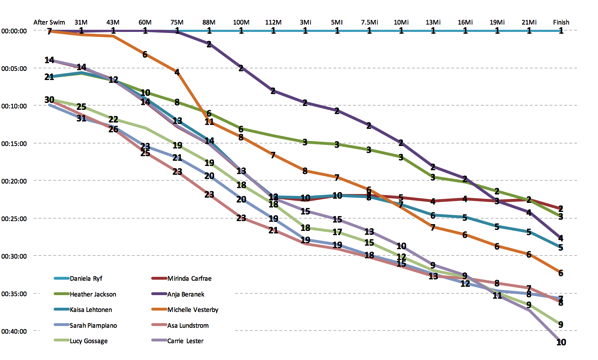 (In the race development graph below, Rinny is shown as the red dashed line.) Apparently Kaisa continued to feel good, and with Yvonne Van Vlerken she built a small lead on Rinny. But that didn’t “stick” and Kaisa and Rinny entered T2 just four seconds apart. They ran the first part of the marathon together, moving into the Top 10. 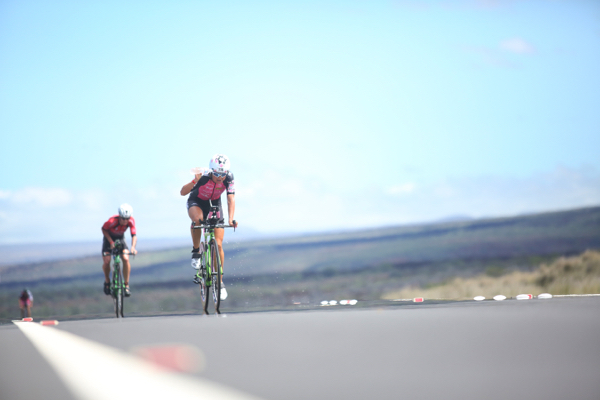 Shortly after the turnaround at the far end of Ali’i Drive, Rinny moved further ahead, but Kaisa continued to run well and by the time she was running on the Queen K, she had moved into fifth place. Even if she wasn’t quite able to close the gap to fourth place finisher Anja Beranek (it was just over a minute at the finish), her fifth place finish was never challenged from behind. Last year’s fourth place finisher had a good start to Kona 2016, being close to the front until about 75 miles into the bike. Then she received a 5-minute penalty for blocking and fell back to 11th place. But Michelle continued to ride strong, was in 8th place early in the run and even when others struggled, she continued to run her steady pace. Michelle held on to finish in 6th place. Asa had her typical swim, coming into T1 with a ten-minute deficit to the leaders. Even though Sarah swam 38 seconds slower, she’s probably happy with her swim – last year she lost more than 15 minutes. Sarah took some time to bridge up to Asa and then rode away from her. But the difference between the two was never more than two minutes, and they were both moving forward in the field, improving from 33rd/34th after the swim to 19th/21st place in T2. 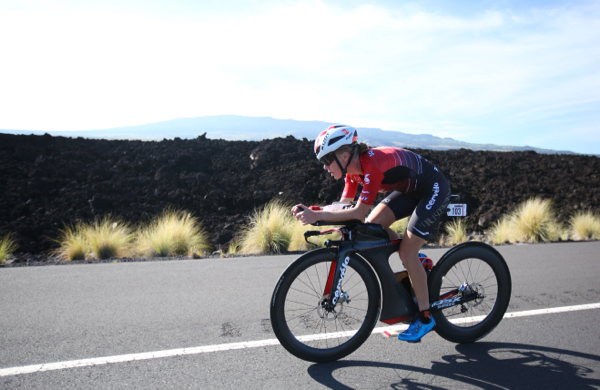 Asa was running slightly faster than Sarah, allowing her to close the gap and then to move ahead in the early parts of running on the Queen K. But the gap never grew to more than a minute, and they both moved into the Top 10 at the Energy Lab. The final order between Sarah (blue line in the graph below) and Asa (red line) was only decided in the last mile of the marathon when Sarah was able to turn a 13-second deficit at 25.2 miles into a 28-second advantage at the finish. Another “close pair” for most of the race were Lucy Gossage and Carrie Lester. Lucy had suffered a broken clavicle and had to skip some hard Kona training to actually be able to get to the start line. As Carrie is usually the better swimmer, it wasn’t a surprise to see her start the bike more than five minutes ahead of Lucy. Both had a solid bike, by T2 Lucy closed the gap to about 30 seconds and they were just over two minutes outside of the Top 10. Carrie started the marathon a bit faster than Lucy, and they entered the Energy Lab just a few seconds apart in 9th and 10th place. Carrie said she struggled all day and a bit more towards the end, that probably helped Lucy to build a small gap and to claim ninth place. What a great result for Lucy after the emotional rollercoaster of dealing with her injury, and a satisfying return to Kona for Carrie with a tenth place finish. 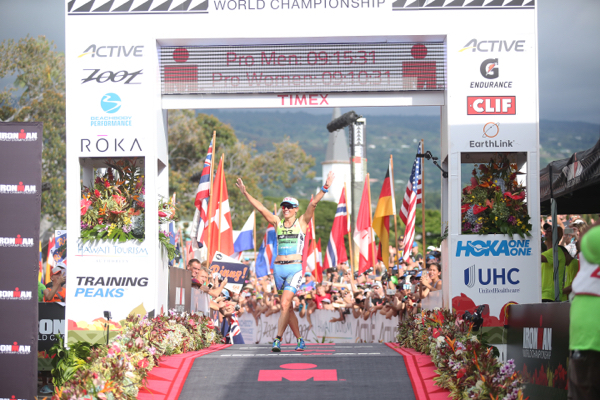 As every year, there are a lot of athletes that came to Kona with high hopes – only to finish further behind than they wanted or even being forced to DNF. 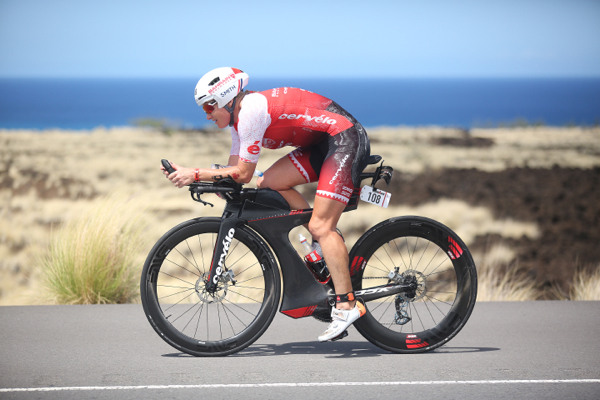 Meredith Kessler was leading the field after the swim and she continued to ride strong, reaching T2 in fifth place and with high hopes for finally having a good Kona race. But then she didn’t have the run she was hoping for, finishing with a 4:19 marathon in 35th place. If last year is any indication, she’ll be racing IM Arizona in late November with some extra motivation. Jodie Swallow was in a great position early in the bike but similar to Michelle Vesterby received a penalty she didn’t agree with. After five minutes in the penalty tent she had lost contact to the chase group and had dropped back to ninth place. She continued to ride strong but still somewhat conservative for her, and by the half-marathon mark she had moved up into fourth place. 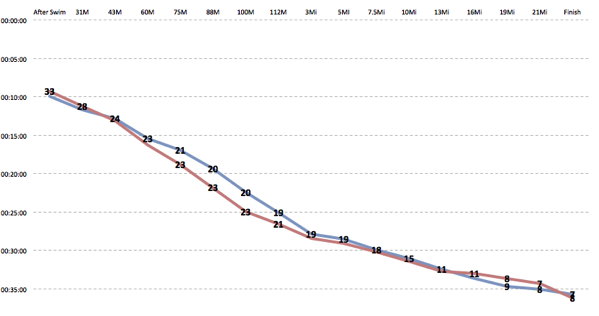 But then she was hardly able to move for the last 10k, eventually dropping back into 22nd place. 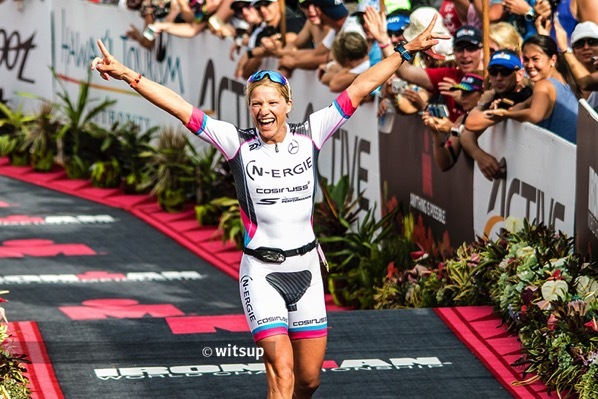 Now it’s time for her to finish her emotionally demanding year by getting married to James Cunnama and taking some time off, and I’m sure she’ll play an interesting role in the Kona 2017 race. 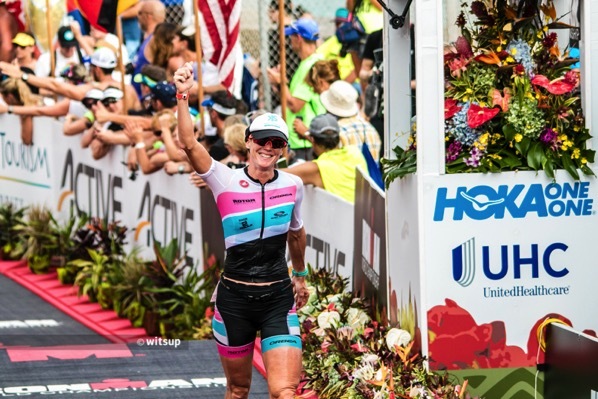 Mary Beth Ellis had announced before the race that Kona 2016 would be her last Pro race and that she was hoping to go out with one final good result. She was in a great position for most of the day, only dropping from the Top 10 in the last part of the run. Her 3:33 marathon was still good enough for a 14th place finish. With Annabel Luxford, Melissa Hauschildt (kudos if you can spot her in one of the pictures above!) and Yvonne Van Vlerken there were three strong contenders that were in a good position early in the run. However, all of them were forced to abandon while still running in the Top 10. Hopefully they can recover, qualify again and show next year what they are capable of!